Wednesday, I got word that Third Day’s Revelations Tour was coming…yes, to our small little area on April 18th. Then, I found out it was going to be at the Emerald Coast Conference Center which does not have the greatest acoustics, so I said maybe not. After talking to Bryan though, he was a definite yes…tickets are reasonable and it will be fun regardless. So, off to buy tickets I went. 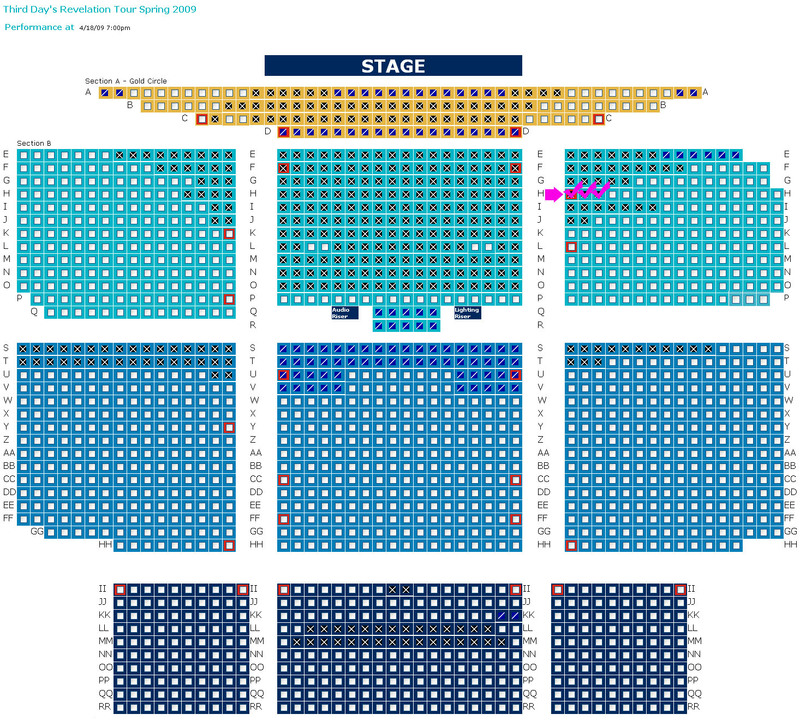 If I would have bought Wednesday, I probably would have gotten, like the first two rows behind the yellow section…ah well. We haven’t told Jacey yet, although she will I am sure be thrilled. She has been begging to go to a concert! Oh Lacey! This is fabulous! I am like Jacey, wanting to go to a Christian concert for the longest time! You might see me there, girlie! Praise God! I can just see Jacey jammin’ in the aisles! Have fun!